175 Turns have passed since Jaxom and Ruth detonated the ship drives on the Red Star. With the destruction of the Red Star, life on Pern changed. AIVAS led the people in creating and building new technologies, while the riders learned how live a thread-free life. 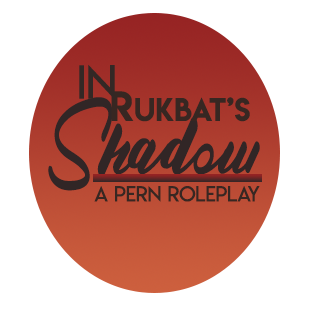 The peace was shattered when a small group of people discovered gunpowder and a civil war nearly destroyed Pern, causing AIVAS to shut down and hide from humanity once more. The Pern of old is no more. Now dragonriders work jobs to support their Weyr, act as peacekeepers to protect the new Kingdoms which have emerged. Even the dragons themselves have changed, as dragons with strangely colored hides and misshapen bodies hatched from the eggs of the dragons who timed so far back in time that they nearly died between. But even so, they were safe from the threat of thread. Or so they thought. 20 Turns ago, a Masterharper realized with dread that there was a light in the sky which did not match any of the star charts. It was the Red Star. Broken and battered it had returned to exact vengeance. It has grown steadily larger, ever closer, bringing with it the ancient enemy of Pern, Thread. With only two weyrs worth of dragons to fly thread, and little to no training in the old ways of fighting thread, will Pern survive the 10th Pass?